Social media services are not only great time consumers, but they may become also real time savers. How? In case of social login functionality of course. 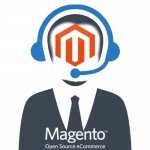 Unfortunately, the default Magento 2 doesn’t provide such feature, but you can always rely on third-party extensions in order to achieve the desired social login functionality. So today, we’d like to draw your attention to the MageDelight Social Media Login Magento 2 module – one of the easiest ways to provide your store visitors with rapid login and registration. Below, you will find a set of features this module provides as well as a short guide related to its backend configuration and frontend functionality. Custom social login bar position. 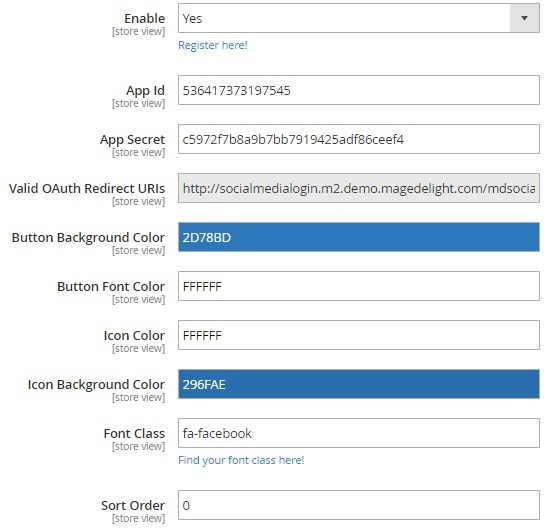 As you can see, the MageDelight social login Magento 2 extension provides all features necessary to enhance the default shopping experience: your customers can login or even register as fast as possible. If they are already registered, the desired login method can be used as well. Besides, it is possible to implement various customizations related to the work of the module. 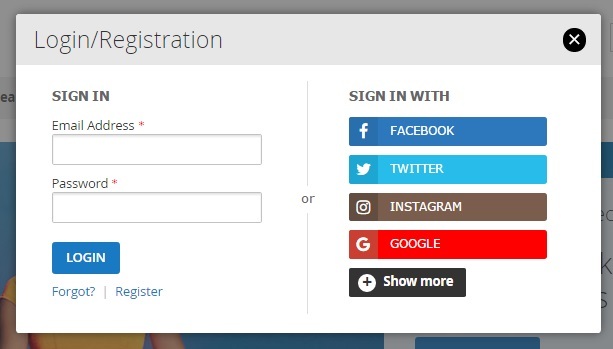 Currently, the MageDelight Social Media Login Magento 2 supports 15 social networks that can be used for login or registration. Of course, your store visitors can fully leverage their accounts from Facebook, Google, Twitter, Instagram, and LinkedIn. Alternatively, Windows, Amazon, Foursquare, Flickr, Reddit, Vimeo, Yahoo, Tumblr, and even Soundcloud with Dropbox can be used to get to all benefits you offer to registered clients. Of course, registration or login is possible via a popup window which is fully customizable via backend (don’t forget about the tutorial we promised above). You can change everything from font class to button colors, configuring the popup in accordance to your brand style. Also note that customers can always update information about themselves via a customer account. As you might have guessed, the social media login form does not provide enough information about your clients, so it is sometimes vital to get more data. As a store owner, you better now your buyers, as buyers, customers get the ability to checkout rapidly, because all the provided information will be automatically filled into appropriate fields on a checkout page. 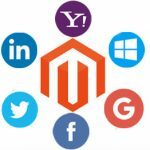 The MageDelight Social Media Login Magento 2 module even provides the ability to generate reports related to all types of social media service used during the registration. Thus, you can easily find out what social networks are used more frequently. How can this information help you? First of all, you get a deep understanding of what social buttons will be useful. Next, the report provides you with ideas on where to run your next social media marketing campaign. 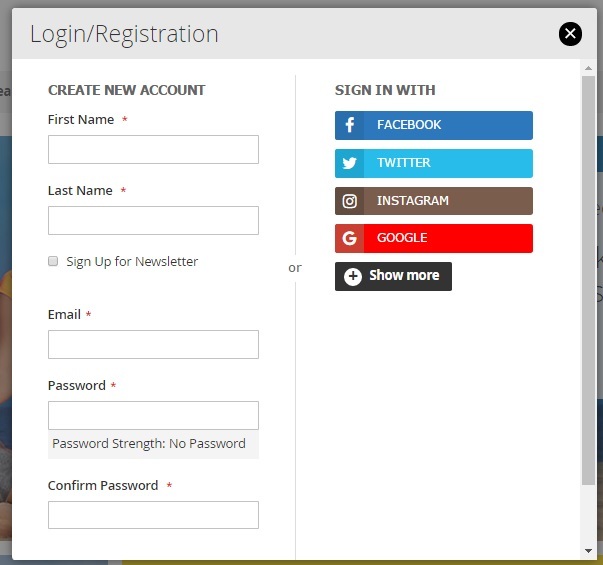 The configuration of the MageDelight Social Media Login Magento 2 module is quite simple. Although it consists of lots of sections, you can divide it into three groups: License Configuration, General Settings, and each individual social media service configuration. In License Configuration, specify serial and activation keys. 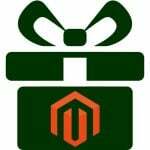 You get both after purchasing this Magento 2 social media module. Next, proceed to the General Settings section. 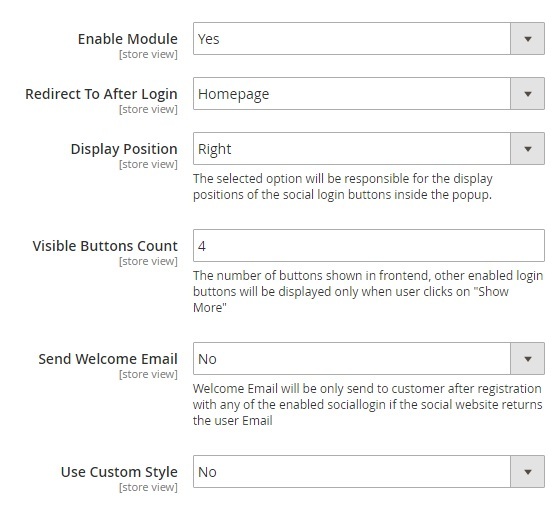 Here, you can enable/disable the module on frontend, choose a post-login page (homepage, current page, of customer account), select option an option that will be responsible for the display positions of the social login buttons inside the login popup (top, bottom. left, or right), set the amount of visible buttons (you can specify a priority for each social media service individually), decide whether to send welcome emails, and enable/disable custom style for the popup. 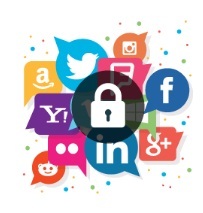 As for individual social media service login button sections they are quite similar: you customize the button style and specify parameters necessary for the connection. 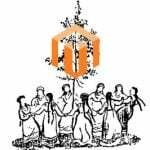 Let’s see how to configure Facebook login for Magento 2. First of all, enable the button (you can enable/disable each social button). Next, the the MageDelight Social Media Login Magento 2 extension requires to specify App Id, App Secret, and Valid OAuth Redirect URIs. After this data is typed, start button customization. The extension allows you to set such parameters as button background color, button font color, icon color, icon background color, and font class. Next, there is a field that allows to set a sort order for the button. Thus, you display the Facebook login button on any position on the popup window. Now, when you know how to configure the MageDelight Social Media Login Magento 2 module, we can proceed to its frontend exploration. On any store page, you can click Sign In or Create an Account to leverage the social media functionality. You can still use your email and password to login or simply hit the appropriate social media button. We’ve specified 4 buttons to be displayed. Hit “Show More” to see all available social buttons. It has more options for manual registration and the same 4 buttons for leveraging social media accounts.